There’s lots to love about senior dogs (they’re as happy to skip that 6 a.m. run as you are, for one thing). And in many ways, your life together can stay the same. Your pooch still needs exercise and time with you. And contrary to popular belief, she may not need a special diet. But to make sure your dog’s last years are happy ones, you do need to make some changes. You’ll catch any treatable diseases earlier, and your vet may be able to ease some of the symptoms of old age, such as incontinence or arthritis pain. Your vet can also check her teeth, which age quickly without proper maintenance. Speaking of teeth, aim for a brushing session at least three times a week, and get a professional cleaning from your vet if needed. Gum disease is very common in senior dogs, and if an infection in her mouth spreads to other parts of her body, it can cause serious problems. Plus, dental problems make it hard for dogs to eat. An orthopedic bed is easier on achy joints. Some even come with heating elements inside. Senior dogs often don’t get enough water, so station water dishes in her favorite spots around the house. Pay more attention to the temperature. 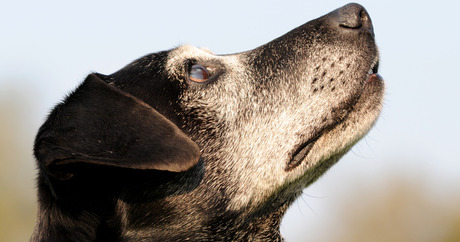 Older dogs are more susceptible to getting overheated or chilled. Activity is as important as ever, but don’t overdo it. Although her spirit may be willing to play Frisbee all day — she doesn’t want to disappoint you — her body may pay the price tomorrow. Keep an eye out for a drooping head and tail; these are signs it’s time to call it a day. All dogs love routine, but seniors find abrupt change really upsetting. If you have to go away, hire a dog sitter instead of boarding if you possibly can.